Delta Omicron Pi - Celebrating Over 40 Years of Sisterhood. Theta Chi brothers, old and new, at Tobias Smyth. Sisters gather around to chant and remember old times. Alumni take a minute with some brothers at Homecoming. Travis and Julie tailgatin' E&H style! 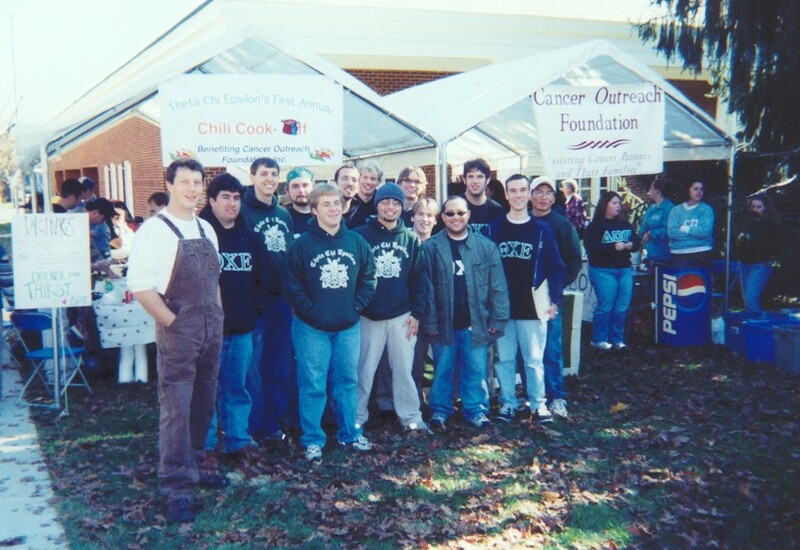 The First Annual Chili Cook-off - Nov. 9, 2003. The event raised over $400 for the Cancer Outreach Foundation. Ladies dancing and having a good ol' time at the 80's party.